Communication Activity: Make Butterfly Catching Game - Learning Dynamics, Inc.
Cutout round butterfly pieces from the Butterfly Sheet. Use the Butterfly pieces as a stencil and cut out matching size circles using the cardstock. The cardstock will create more sturdy game pieces. On one side of each cardstock cutout, place a “conversation topic.” This can be done by writing words and/or by using pictures (e.g. 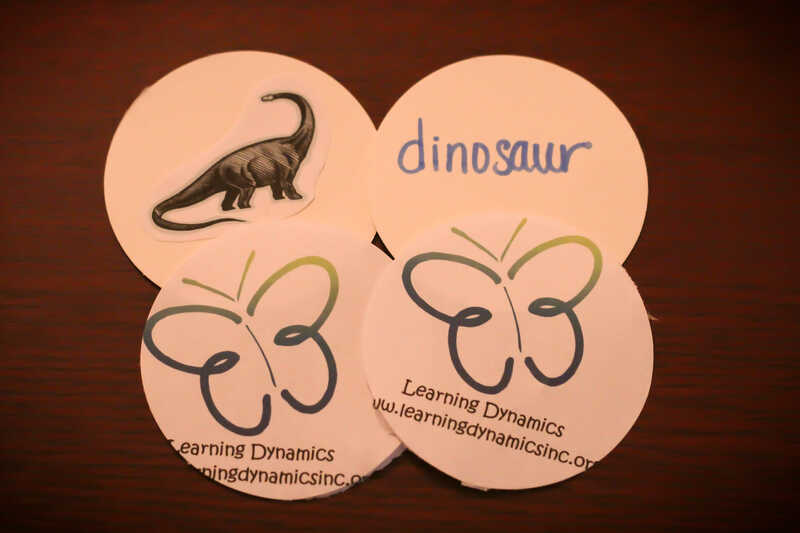 write the word Dinosaur, place a picture of a Dinosaur, or both). Kids also enjoy drawing their own pictures. Take a completed conversation cutout and glue it to a butterfly piece so that on one side the butterfly is visible and on the other side the conversation topic is visible. Repeat this with all conversation pieces. Select age-appropriate conversation topics that can be helpful in developing your child’s conversation abilities with their peers. Select topics that are of varying interests to your child. This will expand the game to make your child have conversations that are not of his/her primary preference. Example conversation topics include toys/games, feeling words, sports, movies/television, and family customs. Take a completed conversation cutout and glue it to a butterfly piece so that on one side the butterfly is visible and on the other side the conversation topic is visible. Repeat this with all conversation pieces. Use the packing tape to “laminate” the completed conversation pieces. Cover each piece (front and back) with a layer of packing tape. This will help your pieces “last longer” and withstand more elements that they may be exposed to by your child. For the more interactive version: Attach a small magnet, paperclip, or brad to the butterfly side of each piece.